Jaiyeorie .. GIST FOR TODAY: The Claw Princess With The Melanin Goddess! The Claw Princess With The Melanin Goddess! 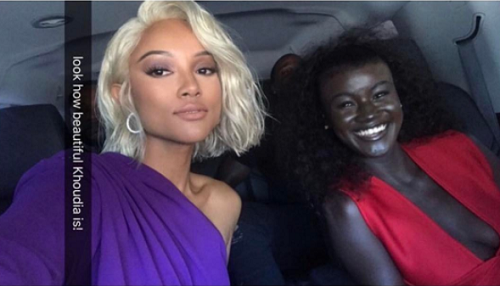 #jaiyeorie Khoudia Diop a model in Senegal dubbed the Melanin Goddess with "Claw" actress Karrueche at the BET awards.